Adrian Schoolcraft. Photo by Albany Times Union. This weekend I plowed through Graham Rayman’s NYPD Tapes, one of the most startling and gripping nonfiction books I have read in a very long time. It is the story of Adrian Schoolcraft, a police officer who spent two years collecting evidence of rampant fraud in the NYPD, only to suffer astonishing retaliation, including a six-day forced stint in a psych ward. The book casts an appalling light on former NYPD Commissioner Ray Kelly’s police force, and reminds the reader that whistleblowing, for all its hagiographic treatment after the fact, is a deeply unpleasant process. 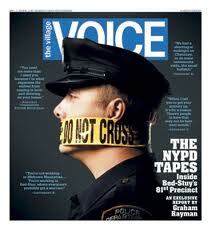 The Village Voice’s coverage of this issue was one of the storied papers last great acts of journalism. Around 2007, Schoolcraft took matters into his own hands by purchasing a digital tape recorder and recording everything- precinct meetings, chitchat with fellow officers, lectures from his superiors, hours and hours of daily life at the precinct. His discontent was well known by this point and when word of his cooperation with Internal Affairs hit the precinct, Schoolcraft was ostracized and harassed until one fateful afternoon in 2009, when he left work for home 45 minutes early. By the end of the evening his house had been stormed by the NYPD and he was locked to a hospital gurney in the Jamaica Hospital psych ward, where he was committed for six days, unable to leave despite the absence of charges against him. He eventually fled to upstate New York to live with his father, and for nearly six years has led a Kafkaesque existence as his lawsuit against the NYPD slowly winds through the court system alongside his own trial by the NYPD, which suspended him without pay in 2009. In complete contrast to this wild tale, Schoolcraft’s larger grievance about how things are run at the NYPD are exactly as one would expect. An obsession with statistics that will make the NYPD look good? Quotas for small offenses ordered from the top? Rude treatment of crime victims to deter complaints? All of this is intuitive to even a casual observer of City life. The difference here is both the messenger, who is a police officer, and the evidence, which is 1,000 hours of recorded conversations, some of which has been used in subsequent litigation, like the stop & frisk trial. The NYPD’s denial of a quota system has always been ridiculous. In 2006 I was given an open container violation on the Upper West Side. The police officer was mildly apologetic, explaining that he was under enormous pressure to deliver a certain number of monthly open container and public urination violations, and he had picked on me and my friend because we looked well-dressed (my friend Alex was taking us somewhere fancy) and thus were unlikely to have complications when they ran our licenses. Of course, my silly anecdote has been buttressed by such widespread reporting from serious people that it makes you wonder whether the NYPD is only able to lie so brazenly because their people have guns around their belts. Whistleblowers with far more credibility than even Schoolcraft have come forward, to no avail. Quotas are one of the few issues where street activists and the PBA’s Patrick Lynch are actually on the same side, since patrolmen obviously get no satisfaction out of running around looking for petty offenses. Likewise, evidence of downgrading crimes to protect stats, Schoolcraft’s other main accusation, is also widely supported by evidence supplied by Schoolcraft and other NYPD whistleblowers. For years the media and City Council barely touched these issues, perhaps because they were enthralled by the amazing crime reduction numbers being delivered by the NYPD’s beloved “CompStat”-based strategy. 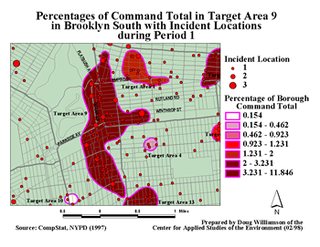 If Schoolcraft has a co-star in NYPD Tapes, it is CompStat (short for ‘Complaint Statistics’), a seemingly brilliant strategy adopted by the NYPD in the ‘90s to track specification information about where and how crimes were happening. From back of the napkin humble origins, CompStat became an uncontrollable beast, as the NYPD leadership pushed relentlessly for evidence of “activity” (stops, arrests, etc.) to go up and crime to go down. Commanders who met these goals were rewarded, and those who failed were reamed out and humiliated. These high-stakes, schizophrenic goals could only lead to one place- lots of police activity harassing people on the street, with widespread efforts to downgrade crimes from felonies to misdemeanors and refuse victim complaints. This is literally the worst type of policing imaginable. Schoolcraft’s supervisor and main antagonist, Steven Mauriello, comes across as a total jackass in his relentless pursuit of stats and complete disdain for actual civilian complaints about crimes (Consider hits like “They don’t own the block. We own the block. They might live there, but we own the block. We own the streets here.”), but he isn’t lying every time he berates his officers for putting him into a bind with his commanders. This crisis, which had consumed the NYPD by the end of the 2000s, ran all the way to the top, where Michael Bloomberg and Ray Kelly had run the show since 2002. One interesting stat-juking nugget was the reference to “ghost 250s”, the forms used to record stop & frisks. Because people aren’t required to give their names when being stopped, officers boosting their numbers could just fabricate encounters and put “refused name” on the top. This situation got so out of control that one lieutenant had to pep talk his officers after a run resulted in 96 stops, all with “refused name.” The significance of this incident couldn’t have been grasped by Rayman, who seemed to have written this book in 2012, but these ghost stops may well explain how the NYPD was able to drop its stops from 686,000 in 2011 to fewer than 2,000 per week by the end of 2013. Maybe the actual number of stop & frisks have actually been relatively steady for the past two decades, or the increase was meaningless pat-downs to make numbers- which is of course no consolation to the person being frisked. It would be amusing if widespread ghost numbers triggered the citywide backlash to stop & frisk and foisted Bill de Blasio into office. At the time, some thought the number of stops were actually being under-reported, particularly in instances where cops couldn’t find any contraband or after the fact justification. As it turns out, cops were being pushed, prodded and incentivized to get as many stops as possible. The 100,000 or so stops today may still represent a lot of unproductive contact between police and (mostly) young men of color, but if Schoolcraft’s recordings are to be believed, today’s street stops might be more justified than those during the past decade. An additional sidebar takeaway from NYPD Tapes is the use of steroids in the police force. Michael Marino, the commander who oversaw Schoolcraft’s forced psychiatric stay, was caught up in a steroid scandal, but got off with a slap on the wrist, as it seems did the other officers involved. He was recently awarded a lucrative pension plan. I am curious about the use and abuse of steroids in the NYPD, especially after past scandals, and the supposed random testing that now goes on. Perhaps it could explain the volatile temperament of some officers. It must have pained Rayman to publish the NYPD Tapes with such an unsatisfactory conclusion: Schoolcraft’s lawsuit was ongoing, the stop & frisk lawsuit was ongoing, the mayoral election was almost a year away, police reforms were still being discussed in the City Council, and there was talk of Ray Kelly staying on atop the NYPD. In early 2015, 18 months after NYPD Tapes was published, things have come a long way. In late 2013, the City Council passed certain police accountability reforms, and may pass more in the aftermath of Eric Garner. The stop & frisk lawsuit was victorious, and Bill de Blasio, who ran hard against Bloomberg’s stop & frisk policy, approaches policing more open-mindedly than Bloomberg. William Bratton has replaced Ray Kelly, and though he is not universally loved, he comes across as more sophisticated and aware of community sentiment than Kelly. 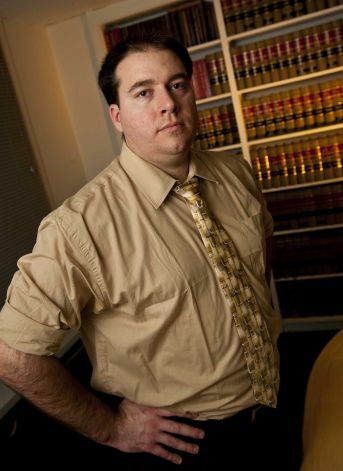 The only thing that hasn’t changed is Adrian Schoolcraft’s litigation. This has been a really important year for discussing policing issues, and a full read of NYPD Tapes is essential to understanding the conversation. For example, the City Council is pushing to put 1,000 more cops on the street. This seems like a strange thing to do when crime is at an all-time low. (Assuming that the NYPD isn’t hiding dead murdered bodies like Snoop and Marlow.) But NYPD Tapes leaves me with no confidence in what the crime numbers actually are, or what exactly the City Council or Commissioner Bratton envision this new surge of officers doing. Not only do we have a long way to go before we figure out police-community relations in this City, but as NYPD Tapes makes clear, we might not even have a good read on what crime is actually happening in the City, an irony of the CompStat era. We need to do much, much better at understanding the workings of the 34,500-person weaponized force that protects this City. NYPD Tapes is published by MacMillan Publishing (2013).